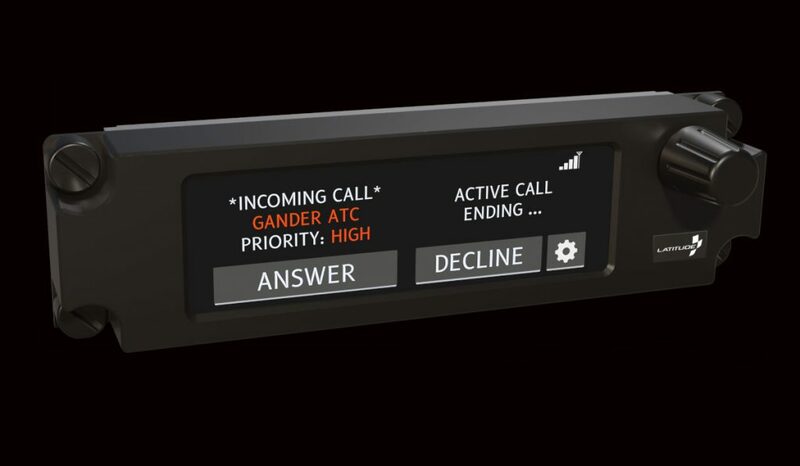 Latitude Technologies of Victoria, BC, which focuses on supplying flight data management, flight following, and satcom solutions, launched what it describes as an ultra-light, ultra-slim Touch Control Display Unit (TCDU). The Latitude TCDU supports a range of fixed and rotary wing applications with its fully customizable, high-resolution display. When paired with the SkyNode S200-012, Latitude Technologies explains the TCDU provides a minimally intrusive solution for ATS SATVOICE Safety Services where an A739a MCDU is not already installed. Due to its ability to provide pilots with reliable and global voice communications coverage, Latitude explains the SATVOICE is now an approved supplement to HF for Long Range Communication Systems (LRCS). The Latitude solution complies with AC 20-150B specifications for airworthiness approval of satellite voice equipment supporting Air Traffic Services. The TCDU also serves as an interface for Latitude’s Coordinated Communications solution. Powered by Iridium Push-to-Talk, Latitude Coordinated Communications is purpose-built for police, emergency responders, disaster response agencies and other parties that require a secure and reliable method for exchanging information between dispersed teams. The Latitude TCDU facilitates global group-talk with one-key dialing. The result, explains the company, is PTT radio-like functionality backed by Iridium satcom clarity and reliability. For traditional satcom telephony, the Latitude TCDU supports both voice and 2-way messaging in what the company describes as one of the most compact form factors currently on the market.